But in the end this boils down to three people. So let’s talk about them. Was Missy “reformed”? No more and no less than you would expect. Something changed in her, that much was clear, but up until the very end her past self maintained a grip on her present, and probably every instant the two of them were together and most of the instants when they weren’t, she was conflicted. Gomez plays all this with excellent subtlety, just looks and line readings you’ll miss if you blink. It’s probable Missy doesn’t know until the moment she sticks her (sonic? really?) umbrella in the ground and beckons the Master over for a hug that she’s going to stab him in the back. And it’s probable that the Master doesn’t know until she declares her intent to betray everything he’s chosen to be that he’s going to shoot her in the back. After all, Missy’s mere existence is the proof he survives the stabbing, so why would he cut short his own future…unless it means he stops being himself? It’s remarkable that we get what sounds like a credible explanation of the Master’s escape from “The End of Time” — this hasn’t always been a courtesy we’ve received. He’s often escaped from what seem like certain death traps without accounting in any way for his survival. So no matter what he says about the “full blast” of the laser screwdriver, and regardless of the fact this really is the “perfect ending” for the character, it’s more than likely that the admonition to carry a spare dematerialization circuit isn’t the only precaution Missy retained from her previous death. I’d put the odds we’ll see her again, in one incarnation or another, at about 98%. I’ve never been in the camp that enjoys criticizing the behavior of a 2000-year-old effective immortal who spends most of his time saving short-lived humans from apocalyptic situations. 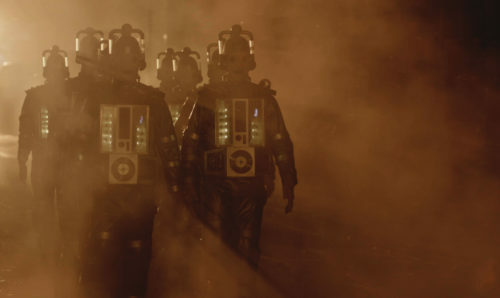 It’s become a cliché to complain about the Doctor’s arrogance, or his hubris, or his alien sensibilities, or his habit of putting his best friends in mortal danger. 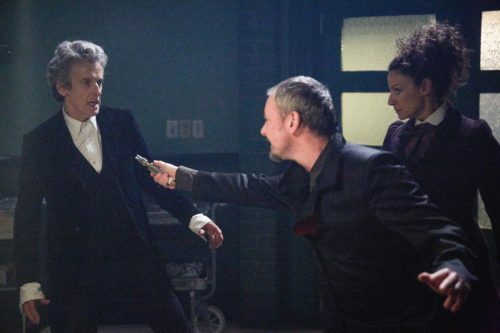 But it’s hard to deny that the Twelfth Doctor has, even compared to his more self-castigating prior selves, given this camp a lot of ammunition. He promises to save Bill, but he can’t. At least he admits it. 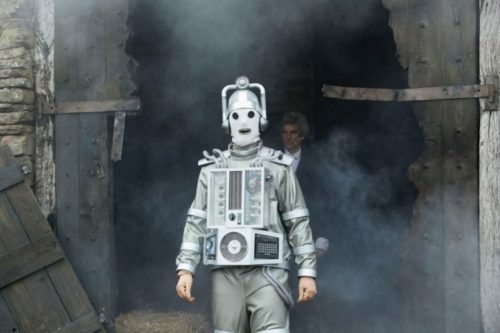 He pushes down whatever grief and guilt he’s feeling over her condition because there’s a pressing crisis: first the Missy/Master situation, then the Cybermen preparing to invade level 507. And maybe it’s better this way — maybe no scene where he looks her in the blank Cyberman eyes and apologizes for ignoring her reluctance to participate in Missy’s test, apologizes for thinking his braggadocio could talk the janitor out of shooting her, apologizes for leaving her downstairs for ten years while he taught the room about black hole physics, or for taking the lift when he could have taken the TARDIS, or even just for leaving her alone in the barn, would ever be enough. But Moffat’s a good writer, Capaldi’s a good actor — they might have pulled it off. What we get instead is the final culmination of a death wish that’s been building all season, manifesting in his attempted self-sacrifices in (e.g.) “Extremis,” “The Pyramid at the End of the World,” and “The Eaters of Light.” The Doctor’s decision to stay on 507 and burn along with it is about doing what’s right and decent and kind, yes, but it’s also his inability to live with himself. 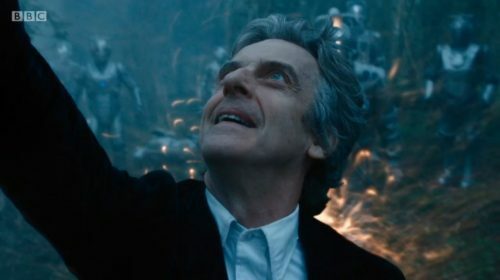 This is the second companion in a row (that we know of) who’s effectively died on his watch, performing a small act of heroism she didn’t realize would be fatal, and while he doesn’t consciously remember Clara, there must be a level on which he does. This is not out of character for him — it’s basically the same doomed last stand in a bucolic little town he took in “The Time of the Doctor” — but it is, in some ways, as selfish a move as any, this unsung final charge intended to be the last help he gives anyone, ever. If he’d given in and regenerated, he could have helped the “Waltons” for many more years than Nardole will be able to. He might even have worked out a way to get to his TARDIS. He could have saved many more people on more worlds. But he’s had enough. He’s lived too long, failed one too many of his friends, this time a young woman who wanted nothing more than to learn and to love and be loved, and who got her heart burned out of her chest for doing nothing more than being human. He knows, as we know, that if he changes now, he’ll become a different man (or woman), remember these things as if they happened to someone else, start fresh and maybe never stop. We know that has to happen. But he doesn’t want to face it. And right now, I don’t want to either. I’ll admit, I expected this to be undone. It seemed cruel, and not nearly as unusual as it should be, for this to happen again. Mickey and Martha fared relatively well, but the Moffat era has been less kind to companions of color; even Mels, Amy and Rory’s childhood friend who turns out to be their daughter, is shot dead by Hitler a short time after she first appears (to regenerate into Alex Kingston, but still). I’m not sure it’s my place to say that this is an objectively troubling trend, but I’m troubled by it personally, and hoping (though not expecting) Chris Chibnall to be the showrunner who finally remembers that companions used to choose to leave the TARDIS like mature adults and don’t have to be killed off. It’s all the more dismaying to see this happen to a companion as thoroughly appealing as Bill. If there’s any division among fans between those who love Bill and those who hate her, I’ve apparently only heard from the first faction. Making a character everyone loves, on purpose, is almost impossible. 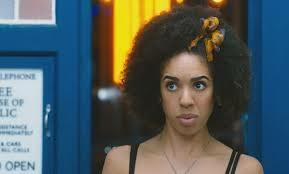 If the intent was to make her so likeable that her fate is a total gut-punch, they’ve succeeded, and it’s a testimony to excellent scripts, certainly, but also and perhaps first and foremost to Pearl Mackie. Thank goodness Moffat has Bill under the illusion that she’s still human, or we might have lost out on a terrific last performance by Mackie. Her anguish as she slowly realizes she’s been turned into a literal monster is all the more heartbreaking as we imagine each of her lines as everyone around her hears it, in the Cybervoice. I said last week that her situation was sad, and it gets worse the more you think about it: she has the one act of heroism (pointing out she’s the only human in the room so she’s the only one who gets shot), and that’s it — she doesn’t even get all the credit for sticking it out ten years in the nightmare hospital, since we don’t know to how much she’s acting under the Doctor’s “wait for me” mental suggestion. That’s something I could have done without — it’s his biggest mistake, pacifying her when she could have taken action of some kind, and it robs her of any credit we might have given her for having faith in him. Then she gets to be taunted by the Master, kept in the barn like a horrible secret, shot at by Ma Walton. And yet — I said last week she was resilient, and we keep seeing it here. She doesn’t succumb to the Doctor’s death wish and make a suicide run at a bunch of Cybermen, zapping as many as possible before they overwhelm her (even though arguably that would have been pretty spectacular; and since all the Cybermen are connected, and Nardole is a computer expert, was there never any thought of sending some kind of signal from her brain back through the net to infect them? Maybe the same image of her mom that defeated the omnipotent Monks in almost exactly that same way? Oh well). 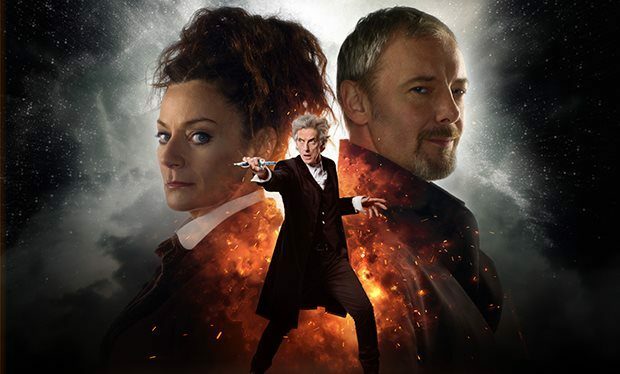 She sticks with the Doctor and Nardole, until she’s able finally at the end to find him on the battlefield and, with a little help, save his life. He doesn’t deserve her. He never has. He’s lucky to have her. But she’s luckier to have someone else. The one remaining fear I had from last week — that Bill, our first lesbian companion, would also be the first companion of the new series denied a happy romance in the end — was fortunately premature. This ending makes me wish even more that “The Pilot” had taken just a little more screen time to flesh out that relationship between Bill and the girl with the star in her eye, but better late than never. Like Clara and Me, Bill and Heather are now effectively immortal, traveling the universe without the Doctor for as long and as far as they want to. They could be human again — according to Heather, “it’s just atoms” — but given what they’re apparently capable of now, human seems such a small thing to try and be. 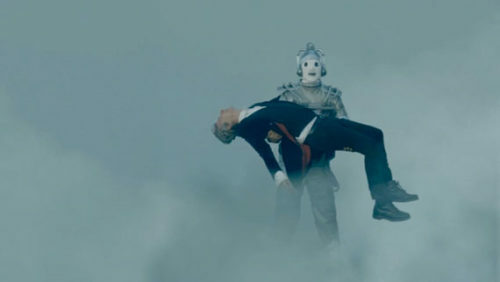 This is a strong contender for the saddest ending for a companion we’ve had since the new series began. But an equally strong contender for the happiest.